Every January on my blog I look back at my most loved and worn beauty products from the previous year and it’s always a joy. 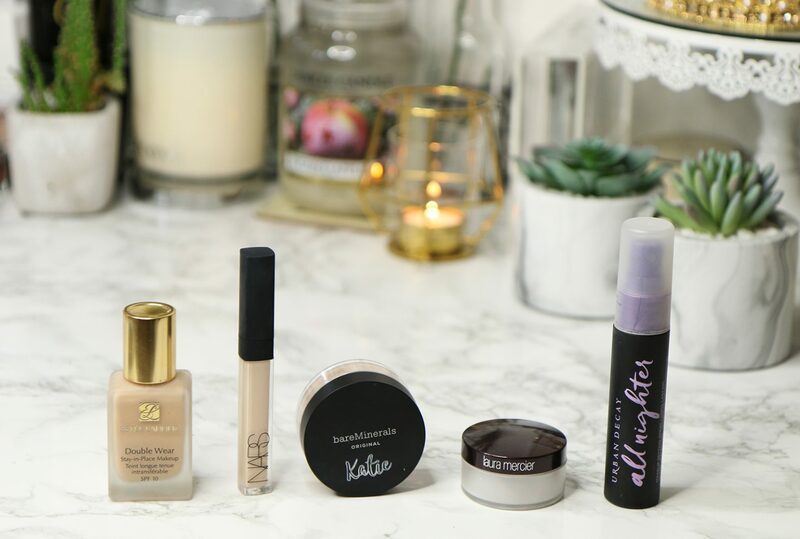 In 2018 I discovered so many beauty products I hadn’t tried previously and so it was great fun to shop my stash and narrow down the absolute holy grail products that saw me through the months! This foundation was one of the first high end beauty products I’d ever used when I was 19 but I’ll admit I completely forgot about it over the years. It was reintroduced to me the summer of 2018 and it hasn’t left my handbag since. This is just the most beautiful powder foundation; it leaves me with gorgeous glowy skin and packs the greatest buildable coverage. It’s also made of only 7 minerals ingredients and is so great for your skin you don’t technically have to wash it off either… win win! For the days I want heavy coverage I reach for the Estee Lauder Double Wear foundation. I’ve never previously been able to use this foundation due to not finding a shade light enough for my pale skin but they’ve since released a greater colour range. Despite being thick and full coverage, it feels really light on the skin and hasn’t broken me out in blemishes either! It’s pricey but you only need a little amount of product meaning it’ll last a while so you’re getting your moneys worth! This has been my favourite concealer for at least the past 5 years, there’s no competition (apart from maybe Collection’s Lasting Perfection Concealer which is a lot cheaper but doesn’t have a colour range as extensive). My makeup isn’t complete without a bit of this underneath my eyes and it also does a brilliant job covering blemishes. I purchased this early 2018 after being recommended it by a work colleague who had the most beautiful base which lasted well into the work day. It’s a really finely milled transparent powder which I place onto the skin with a sponge and dust off after a couple of seconds. It’s designed for use under the eyes but I’ve been using it all over my face to help set my makeup and fill in any fine lines. I’ve never been a massive setting spray fan, usually thinking they’re just another product to potentially clog up my skin and cause blemishes but I honestly don’t know how I lived so long without this one! The All Nighter Setting Spray from Urban Decay sets my makeup and keeps my base looking perfect well into the night. I have the travel sized version which I’ve had for ages now and it’s still going strong and at only £10 it’s a bargain. Stay tuned as I have my favourite lip, eye, body, skin & haircare products from 2018 still to come! What was your favourite base product from 2018? Previous Post Last Minute Christmas Gift Guide! So happy to hear they’ve released some new shades. I’ll have to try the Double Wear! I live for the All Nighter spray. So so good!